Home > Buy Direct and Save! 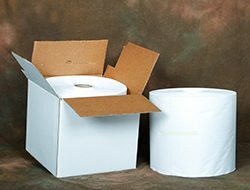 What’s the best way to stock your office, shop, or commercial facility with the cloth and paper products you need? By purchasing your products directly from us at Cottonall! What are the benefits of buying direct? Cut out the middle man and save money with our wholesale pricing. Some of our products include freight, making it easy to budget. Make fewer purchases each year while keeping the products you need in stock. We manufacture many of our products on-site, and our lint-free rags are crafted using a proprietary formula. If you’re ready to enjoy the savings that come with buying direct, visit our product pages to get started.